New Zealand Babywearing Week Giveaway Sponsored by Scarecrow Farm – WIN a Moby Go! We’re on the countdown to New Zealand Babywearing Week (5 – 13 October 2013) and we are looking forward to celebrating with you. Over the next few weeks we will be offering some fantastic giveaways thanks to some generous product sponsors. Our next giveaway for this year will be drawn once we reach 2100 page members over on the New Zealand Babywearing Week facebook page. 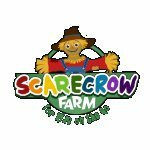 Our 2100 liker giveaway sponsor is Scarecrow Farm. One lucky ‘New Zealand Babywearing Week Facebook page’ member will be randomly drawn to take home a Moby Go baby carrier in the winner’s choice of colour. (Open to NZ residents only). 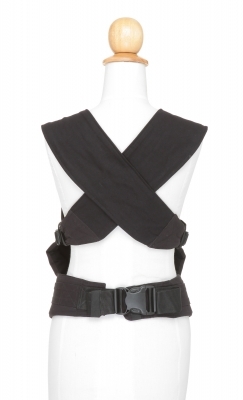 Wide shoulder straps to continue the Moby Wrap tradition of superior comfort. Easy to reach side pockets to adjust for the perfect fit. Carrier seat that is designed to allow the correct support for baby. Unique dual foam waist belt to provide comfortable support for parents. The Moby Go is designed to be worn on the front, but can be comfortably used for back carrying by most people. To be in with a chance to win, like the New Zealand Babywearing Week Facebook page and leave a comment under the Moby Go image that’s pinned near the top of the New Zealand Babywearing Week page to let us know why you’d like to win a Moby Go. Leave a comment under this post to let us know why you would like to win a Moby Go. This entry was posted in Giveaways, New Zealand Babywearing Week and tagged baby carrier, baby sling, babywearing, international babywearing week, Moby Go, New Zealand Babywearing Week. Bookmark the permalink. I have to flight with my 9m8nths old baby alone to Colombia (24 hours). He loves to be hold, to this would be a fantastic life saver for us!! Would love to give one a go with our little man.. Great for trips to the markets and outing to the zoo. This would be a great help for us. We’ve got s 4yo and a 5 mo and are pressed financially to buy anything more than the bare necessities. I tried a friends one and found it so comfy. The Moby Go would be perfect as I am expecting my 2nd child and being able to have my arms free would be priceless on an outing with a toddler also! We have two children under two so hubby and I could carry a child each (utilising our manduca as well). would be happy for a new soft carrier since my daugthers one is very warn out and the new baby is joining very soon. This looks really comfy. I’d love to win one to use with my little girl. A Moby Go would be awesome. With our second child on the way, being able to carry him/her while having my arms free to take care of one very energetic 2 year old would be at lifesaver, especially on flights down to the South Island to visit my parents!! Would be perfect timing for good use over the summer!! I’d love to add a Moby Go to the collection. Adding child number 3 and had gotten rid of a few slings, needing to build up the stash again! I’d love to win this. Little Miss has outgrown current carrier. We walk alot and i really need a wrap that won’t hurt my (former preschool teacher’s) back. I would love to win one 🙂 it looks so snuggly and comfy! I would love to find a baby carrier that will work for me and my body. I’d love to win this gorgeous carrier because the carrier I currently have has buckles that are so far back and hard to reach that I usually need help to get it on and off. I love the look of these straps and buckles as they look like I’ll be able to manage this carrier on my own! Winning this would enable us to get out and about on our own more often, which would be so good for both of us. I have everything crossed for this! I would LOVE one of these because my baby can never get comfy in our Moby Wrap! Looks amazing!! Soon going to have 3 under five and having one of these will make it so much easier when out and about with all 3. Would love to win this, as a second carrier would make things much easier (especially when hubby has bubs at home or when carrier needs a wash).